The process of entry into North Korea is certainly unique and sometimes bizarre. On my first trip into that hermit kingdom in 2005 our luggage was seriously searched. The military officers (or at least they looked like soldiers) looked through our clothes, and took apart our pens. We wondered why. To make sure there wasn't a camera hidden in it? Now, fast forward 10 years to 2015 -- my sixth trip to that country -- and imagine what we were thinking. There is no chance in hell that this government would allow us to bring in a virtual reality camera with 16 lenses pointed in almost every direction so that the world could see their capital of Pyongyang with 3-D, 360-degree video, which to them would look like a science fiction movie. Apart from the usual questions about whether we've brought in any satellite equipment (not allowed) or questions about how each camera works, strangely this time they didn't inspect our belongings as meticulously as they had on that first trip. And more shockingly, they just looked at the VR camera and just let us go. In the years since our first trip, they've allowed more foreign journalists in and even allowed U.S. Internet and international phone access, so perhaps familiarity helps explain the less intrusive inspection of our materials. 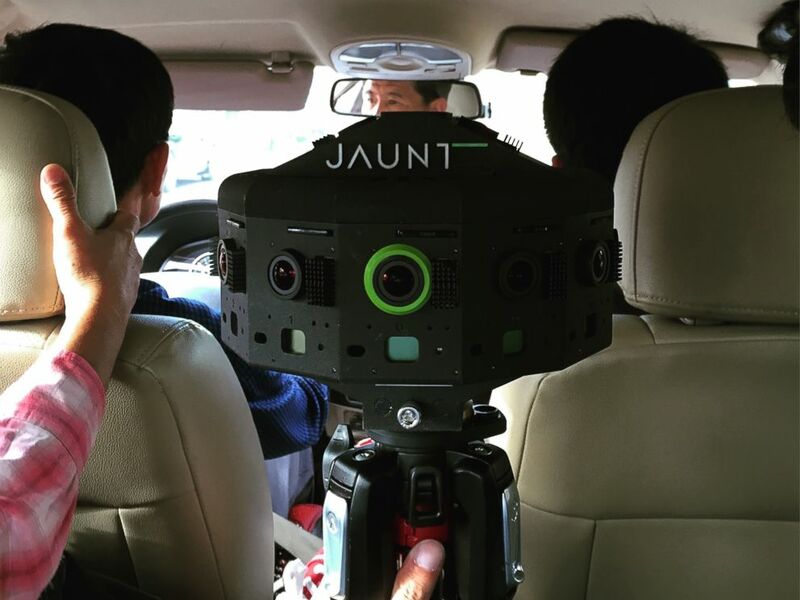 Jaunt's 360 degree camera takes a taxi ride in Pyongyang, North Korea. Those who visit North Korea, including journalists, just don't get a chance to see anything truly secretive. We report everything we can see but it's hard to know how forthcoming the answers are from people we speak with because the "minders" guiding us around just listen to our interviews, writing down everything we say and how the interviewees respond. Because of this unusual dynamic -- in a country where freedom of expression is suppressed, the underlying current is if either side screws up, then there is risk of being punished. Our hope every time is to show something new to understand the world's most secluded country. In the past 10 years, we did get some good opportunities, interviewing the country's foreign minister to tell us about their nuclear capability and to travel to the DMZ, where the North Korean soldiers stood staring into the eyes of their South Korean enemies. Of course our requests to visit the villages outside of their showcase city of Pyongyang -- where a more realistic picture of North Korea's struggling economy is likely to be found in the countryside -- were shot down. Certainly a visit to any of the labor camps would be out of the question. 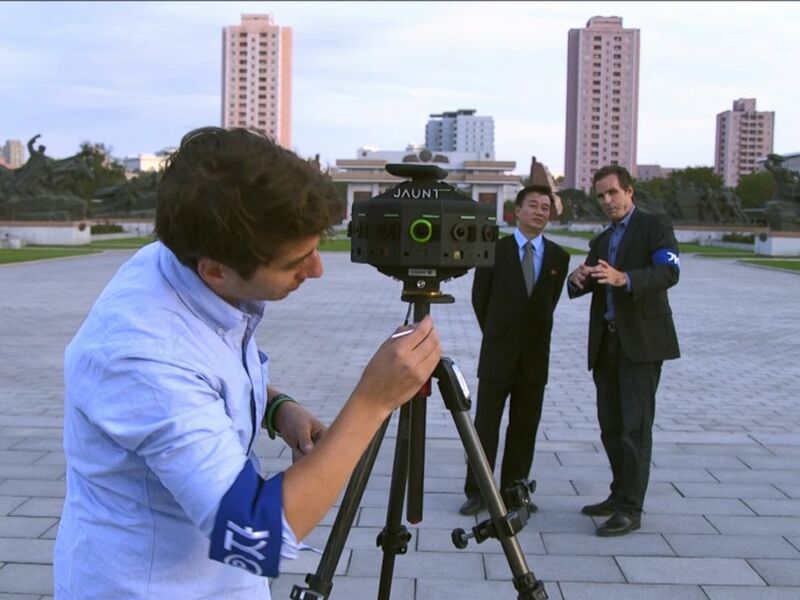 ABC's Bob Woodruff and Ronnie Polidoro prepare Jaunt's 360 degree camera in Pyongyang, North Korea. Having grown accustomed to how the camera works, it seemed the minders came to regard the VR as just another piece of equipment. More importantly, we could see in their eyes infatuation with this new device. They were more curious than afraid. They got this chance to learn something new in a country where smart, young people are getting more curious every time we visit. This was crucial, especially when it came to bringing the VR to the military parade where the military's security is much stricter than any other part of the city, because their leader, Kim Jong-un, would be present. The minders' knowledge of how the camera worked enabled them to help translate to the military exactly how the VR worked. The VR is just one little pebble in a pond of isolation but 10 years after that first trip to Pyongyang, what will the next decade hold for North Korea?